Phuong Anh is the media and communications director for BowerGroupAsia in Vietnam. She has worked for over a decade in marketing with experience in developing integrated communications campaigns and strong media relations. She is skilled, proactive and energetic in managing media and communication requirements for clients and liaising with external stakeholders. Prior to joining BGA, Phuong Anh worked for Vinmec International Hospitals, a chain of world-class hospitals and healthcare services invested in by Vingroup, the largest developer in Vietnam. She developed the strategic plans and execution tactics for marketing communications activities across multiple different types of media including print, television, direct mail and social media. Earlier Phuong Anh spent several years working for Galaxy Communications, a leading local public relations firm that nurtured her professional skills in communications consultancy and media relations. From 2010 to 2012, she worked in Phnom Penh, Cambodia, for the diversified Anana Group where she managed the group’s marketing activities and successfully developed two new brands. She also helped secure the first opportunity for Cambodia to host the Asia-Pacific Network Information Centre Conference in Phnom Penh. 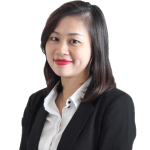 Phuong Anh previously worked for Euromonitor International, a London-based market intelligence firm and Vietnam Airlines, the flag carrier of Vietnam. Phuong Anh holds a master’s degree in marketing communications from the University of Westminster in the United Kingdom and earned a bachelor’s degree from Hanoi Foreign Trade University in Vietnam.